When Mr.Yahia started the Al Romansiah restaurant business in Riyadh, little did he imagine the success that lay ahead. Billing themselves as “the innovators of Saudi cuisine”, this highly successful chain of 13 restaurants was soon attracting so many customers that local street vendors were setting up stall in their crowded car parks and traffic congestion was causing police complaints. Serving this high volume of customers created additional challenges, as waiting times grew longer and longer – particularly during peak times. Whilst the Al Romansiah management team believed that it was delivering everything possible to manage operations and provide the best possible customer service, Mr. Yahia knew that more could be done. For this reason, when Four Principles proposed a Lean transformation at Al Romansiah in Riyadh, he decided to experience Lean first hand. Literally going on his own personal Lean journey, he travelled with Four Principles to Japan to witness the concept in action. Convinced by what he saw, he returned to Riyadh to start the Al Romansiah Lean journey in the heart of Saudi Arabia. With an average interval of more than 20 minutes between the customer paying and receiving their order, the speed of customer service was the starting point of Al Romansiah’s Lean journey. 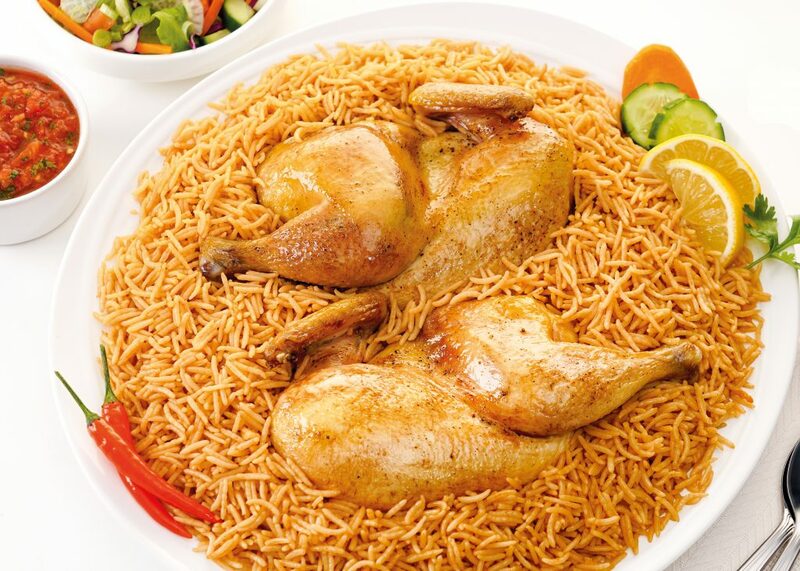 The chain specialises in traditional Saudi Arabian food – its central theme being meat cooked in a variety of styles and served on a bed of rice. With a lengthy cooking process, food is cooked in advance and kept warm – for this reason, the 20-minute lead time seemed excessive. This delay was primarily due to a broken process in assembling the different components of an order (e.g. rice, meat, sides, dessert and drinks). Worse still, this was also causing a surge in customer complaints about not only having to wait ages for food, but finding that it was cold when it finally arrived. An additional challenge lay in the fact that growth of the chain had been built on replicating an existing process model which was labour intensive. Lacking in strong processes, this was limiting the speed of growth due to the high administrative costs of the branch staff. The collaboration between Four Principles and Al Romansiah started in 2014 – right after Mr. Yahia’s eye-opening trip to Japan. The Aziziah branch was chosen as the pilot store – here, the current state of affairs could be analysed, the main issues identified and solutions tested and implemented. 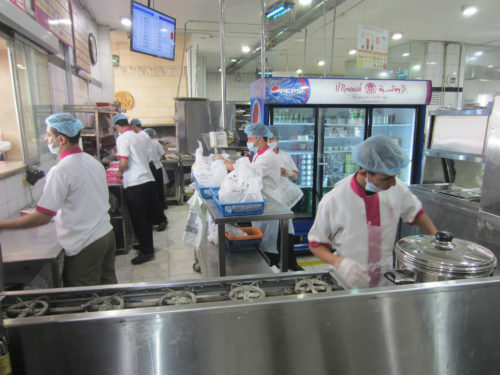 The initial focus was on the main order assembly area, where the average lead time was brought down from 20 to 2 minutes, increasing the freshness of food and clearing the branch of customer congestion. The next process to be improved was home delivery, where the time required to prepare an order and load it into the delivery truck was halved. Meanwhile, in the dine-in area, the size of the sitting areas was aligned to the actual size of customer groups, thereby increasing sitting capacity by 34% and reducing customer waiting time for a table during peak periods. Once results were consolidated in the pilot branch, the focus moved to rolling these improvements out to other branches, as well as redesigning processes at the central kitchen. Several other operational areas were improved as part of the main core projects or through dedicated workshops. As a result, the benefit of Lean Principles also extended to qualitative improvements. Previously, takeaway customers had to use two different windows to collect their orders – one for food and one for drinks. After implementing the improvements, orders are now collected from a single window. The simplification of flows in the branch kitchen minimised employee walking distance and reduced crossing paths. In order to improve the consistency of taste across branches, standard operating procedures and standard cooking tools and equipment were selected and applied. Furthermore, the use of KPIs, displayed in the kitchen, drove up process control and the ability of managers to supervise. In order to ensure sustainability, Four Principles consultants made sure they fully understood the individual nature of the Al Romansiah business and its employees. This enabled a customised approach which facilitated employee buy-in and led to a successful implementation. Moreover, issues and problems were identified in collaboration with the Al Romansiah management team, thereby ensuring they felt fully involved. The roll-out to all branches was kicked off by Four Principles consultants, before being handed across to the newly developed Al Romansiah Lean Team, once the consultants deemed it ready and experienced enough to take over. Building up an inhouse Al Romansiah Lean Team, whilst simultaneously rolling out solutions as quickly as possible, presented several challenges. The Al Romansiah workforce were not particularly prone to following standards – this therefore called for the design and testing of standards with the users. Based on this process, a mechanism was installed to audit their compliance to the newly set standards. An additional challenge was presented by the introduction of cross-functional skills in the kitchen, where labour was extremely specialised – and many staff protective of their traditional roles and tasks. Some employees initially resisted but came to accept cross-functionality, won over by the substantial and convincing benefits of eased everyday workloads. A final and important challenge was the creation of the Al Romansiah Lean team. Starting out as an unconfident and partially change resistant group of people, they evolved into a proactive and autonomous team that is now able to deploy improvements by themselves. This was achieved through training, coaching and, above all, by proving that Lean works through successful implementations. Surveys of customers before and after the implementation of improvements showed a clear increase in customer satisfaction. Some customers could not even believe that they were receiving their orders after only 2 minutes, asking “Is this really mine?” Others, meanwhile, expressed their satisfaction at being able to find an available parking space next to the branch, as traffic was reduced and the parking lot de-congested. Happy customers are the healthiest factor a business can have – at Al Romansiah this was achieved thanks to the vision and efforts of their management and staff in accepting and executing a successful Lean Management transformation with Four Principles. The application of Lean brought standardisation of processes and a reduction in work content. 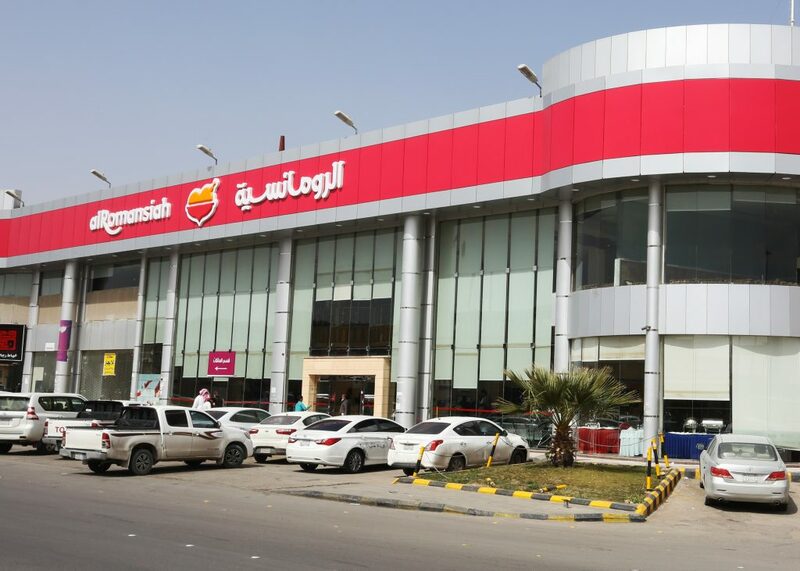 Al Romansiah was immediately able to re-deploy the freed-up resources and three further new restaurant branches were opened without hiring additional staff. Business was so successful that the chain now numbers 21 branches and has recently launched a side business called Al Romansiah Express. Mr.Yahia is now proud to showcase the improvements achieved at his restaurants – the Al Romansiah story is well-known in Saudi Arabia and reinforces their motto of truly being “innovators of Saudi cuisine”. He can now also rest assured that he will not be hearing from the police about road congestion in front of his restaurants!